Planning a funeral is something no one wants to do or talk about. The truth is we all must go down that path someday. Funerals are not always sad and dreary. They are spiritual, memorable and up lifting. After all, it is not the person's death but their life that everyone is remembering and celebrating. Some funerals are expensive but funerals can be economical. 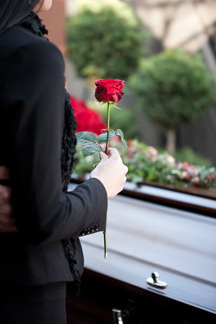 Funeral expenses are controllable if family members stay within a set budgetary amount. Knowing how much money is available for each stage of planning helps to plan a beautiful and well-deserved funeral. The cost of a nice and practical funeral will not necessarily break the bank but it is costly. Funerals cost an average of $15,000 or more. However, this depends on a number of factors. Funeral homes are like any other business, and many directors will not tell families about cheaper alternatives and products they can buy. Why pay $5,000 for a casket when the similar design is available for $2,500 or less? Some places advertise funerals at a very economical price with everything included. This is great for families who have a limited amount of insurance money to work with. Everyone wants their loved ones put away nicely and professionally. A decent funeral can cost under $2,000 and they offer the same memorial services as expensive funerals. After all, the main idea of a funeral is to honor the deceased. Funeral homes are to give family members a complete breakdown of how much each service and product they have chosen will cost. Even if an exact amount is not known, a written estimate should suffice. The price list does not need any special formatting as long as the contents are readable. While the funeral rules govern the operation and business practices of American Funeral homes, Canadian rules make disclosing the costs associated with funeral available ahead of time. The basic fee funeral homes charge. The fee includes use of the funeral home, the services of the staff, burial arrangements, acquiring permits and other expenses associated with preparation and burial services. Optional charges include embalming (which in some states is mandatory), transporting the body, conducting wakes, limousine services, cremation, casket, and internment services. Cremation does not require a casket, but an urn which costs a few hundred dollars. Cash payouts for other related funeral costs include pallbearers' services, the printing of obituaries, clergy fees, flowers and musicians. Burial clothing and other items are also included in the cash disbursements. The best part about planning a funeral is that there is more than one funeral home to choose from. Shopping for cheaper funeral services is practical and highly recommended. Getting the best service for the least amount of money can put money back in the bank for other expenses related to the cost of the funeral. Some funeral homes may try to lay guilt on the family and coerce them into spending huge sums of money. As long as the funeral is nice and everything needed has been purchased and in place, do not let anyone lay on a guilt trip. The sad part about funerals is that everyone does not have life insurance. In this case financing a funeral is most likely the next step. To avoid all these unnecessary charges, prepare ahead for the inevitable. Purchase whole life or term life insurance. Get enough coverage to pay for hospital expenses, funeral expenses and unpaid debts. Picking a casket and plot ahead of time saves money, time and grief for those left behind.